When we first started helping Cathy St Germans and Sarah Mower with fashion entertainment and creativity in the Wardrobe Department, it was 2011 and our tent comprised of a jumble of old charity shop clothes for a blindfold styling booth with portraits by Chris Floyd and a mini theatre for our fashionable fingerpuppets. The second year, we returned and made outfits out of newspapers, which culminated in what has now become one of the highlights of the festival in the form of a hay bale fashion show, complete with pounding music, elegant front row and the most exquisite catwalk creatures, all of them pint sized, parading the outfits they have made either in our Pencil atelier, or elsewhere in the wondrous Narnia that is the Wardrobe Department [we are very welcoming, we do not have a door policy apart from bossy parents, they are banned]. This year’s fashion show finale was nothing less than glorious, it even got featured in American Vogue. Many boys took part, having been willing creators of their very own hand painted slogan t-shirts, inspired by Katherine Hamnett. 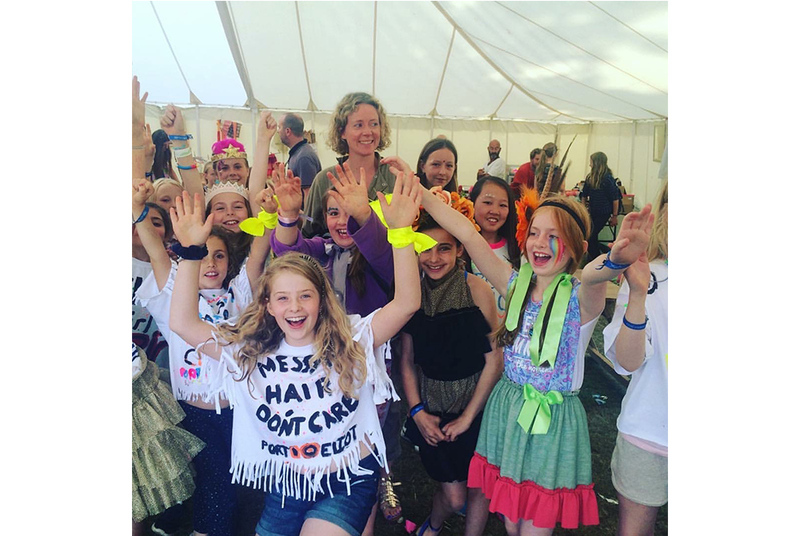 Girls were also froofing their frills in the form of bespoke rah rah skirts made from beautiful Chloe fabrics, kindly donated by the fashion label to the Pencil tent. I would like to thank my incredible team who seamlessly [see what I did there] worked with all ages to create the dream skirt/dress/frock. The pencils are a mix of fashion students, dress makers, fashion industry insiders and hard working grannies. 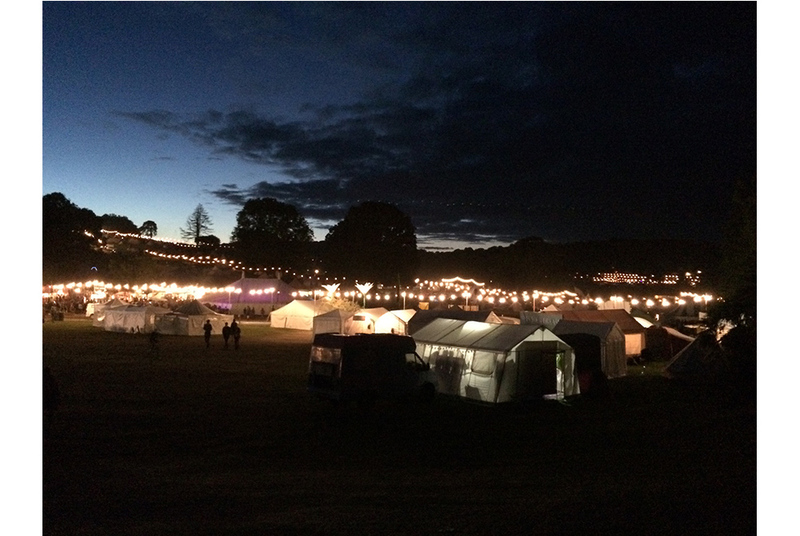 We try and make it as fine and creative as possible for all who attend… and we love it more than anything else we do throughout the year. It’s exhausting, its voluntary, its totally ace. See you in 2017!